Like it or not, winter is on its way, and if you’re not properly prepared, it won’t be long before sub-zero temperatures and snowstorms are wreaking havoc on your home. It’s vitally important to be proactive in autumn before the full wrath of winter arrives so you’re not caught unprepared. 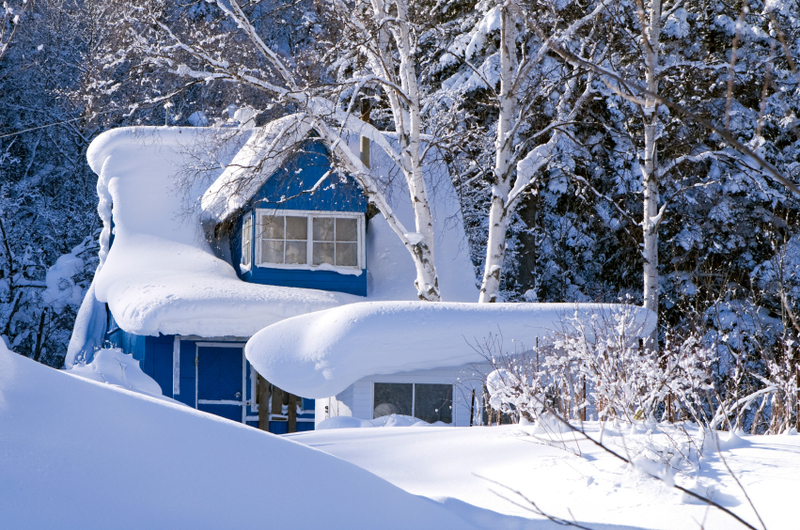 Calgary home builders recommend creating home exterior and interior checklists to make sure your home is ready to stand up to wild winter weather. Thorough and systematic preparation reduces your risk of suffering damage, helps you enjoy reduced heating and energy costs, and ultimately helps protect the investment you’ve made in your home. Check your windows and doors for any signs of potential air leakage that could lead to heat loss. If you find any, be sure to seal them or invest in energy-efficient replacement windows and doors to close off gaps and save energy. Inspect your home’s foundation to see if it has any cracks or other signs of wear. Seal any cracks you find with caulking; this is one of the easiest and least expensive, yet most effective quick fixes you can make. Repaint any siding that’s showing signs of peeling or blistering. Winter weather can destroy unprotected, exposed siding, leading to potentially costly repairs in the future. Trim trees and shrubs to make sure all branches are well away from your home. Branches can collapse under the weight of accumulated ice and snow, which could in turn cause major damage if your house is in the way. Check your roof to see if there are any missing or damaged shingles. If so, have repairs completed promptly; a weakened roof is a major liability during the unforgiving winter months. Clear leaves, branches and all other debris from your eaves in advance of the snow’s arrival. This will reduce your chances of developing ice dams. Test all valves and make sure that all floor drains are clear of obstructions. Inspect your attic for signs of frost accumulation, including stains and moist residue. If you detect any, you’ll need to check your attic for cracks and gaps, which will need to be sealed promptly. Test your fireplace or wood stove to make sure they are clean, tightly sealed and operating correctly. Make sure there are no drafts, cracked glass or window panes, or loosened window frames, especially in your basement. Experts also recommend changing the direction of your ceiling fans to create an updraft. This will make it easier to distribute warm air throughout your home, helping you save on heating costs. Finally, make sure your carbon monoxide detectors have fresh batteries and are in proper working order. Indoor carbon monoxide levels can rise in the winter, as combustion appliances see heavier usage and the windows usually stay closed. Clean and/or replace your furnace filters, according to manufacturer’s guidelines. Clean dust from all registers and vents, and make sure they remain unobstructed. Place portable humidifiers in areas of your home where dry air is particularly problematic. Remember: in a typical home, heating and cooling costs account for about half of total annual energy expenditures. A small investment in efficiency can help you keep these costs in check while extending the life of your HVAC system. If you’re in the market for a new custom home, trust the expert Calgary home builders at Fine Line Homes to deliver outstanding value for your investment. All Fine Line homes are ingeniously designed to support your unique lifestyle needs while reducing energy expenditure. Fine Line Homes also offers one of the most generous and comprehensive warranties in the business. Custom homes don’t have to cost a fortune. In fact, your dream home may be more attainable than you think. Visit us online for a free estimate, or contact us to discuss your needs in detail.